A team of Scientists at Swansea University has found out why sloths are able to spend up to 9o% of their lives hanging upside down, yet still breathing normally. This research was carried out in Costa Rica and published by the Royal Society here in the UK. 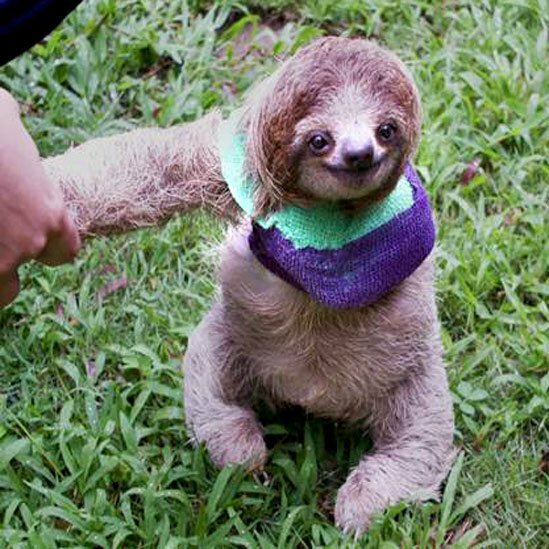 This research found that the sloths, which live in rainforests of south and central America have a way of attaching their internal organs to the rib cage. This means that the stomach, liver, kidneys and even the bowels and bladder don’t press on the diaphragm. Scientists say that this is an every changing piece of research as they are elusive and endangered creatures that we don’t know much about. Having said that these are the world’s slowest mammals but even basic information like their habitat preference still remain a mystery. Sloths can save about 7-13% because of this adaption, this means they can generate just enough energy from their diet to do the minimum possible to stay alive.